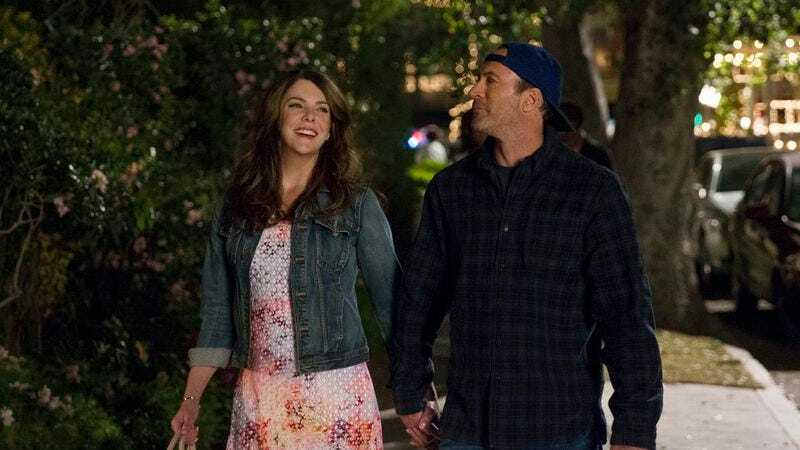 Cue up The Bangles and start celebrating: In conjunction with the Television Critics Association summer press tour, Netflix has just announced when Gilmore Girls: A Year In The Life will drop. The four, 90-minute episodes will appear on the streaming service November 25 at 12:01 a.m. PT. That means you can avoid your own familial travails this Thanksgiving and instead spend some time with the Gilmore clan and all of their deep-seated resentments. Dealing with your own matriarch will be a joy when you think of all the crap Emily and Lorelai have been through. Each installment of A Year In The Life will take place in a different season, covering Winter, Spring, Summer, and Fall. (Now switch your soundtrack to Gilmore-fave Carole King: All you have to do is call.) Amy Sherman-Palladino is executive producing, writing, and directing the entirety of the revival along with her husband Dan Palladino. Hence, there’s a good chance this won’t be a season seven situation. Mostly it was a nostalgic affair. Sherman-Palladino and Scott Patterson reminisced about the show’s impact on fans. Though Lauren Graham said it felt “literally like no time had passed” upon returning to shoot the revival, Sherman-Palladino did acknowledge that the sets have altered. The original Stars Hollow, it seems, was not saved for posterity.